Initially populated by various First Nation tribes and then colonized by the French and British, Canada is today a cultural mosaic made up of people who have come from all around the world. Few countries can compare with the natural beauty, geographic range and wildlife of Canada. 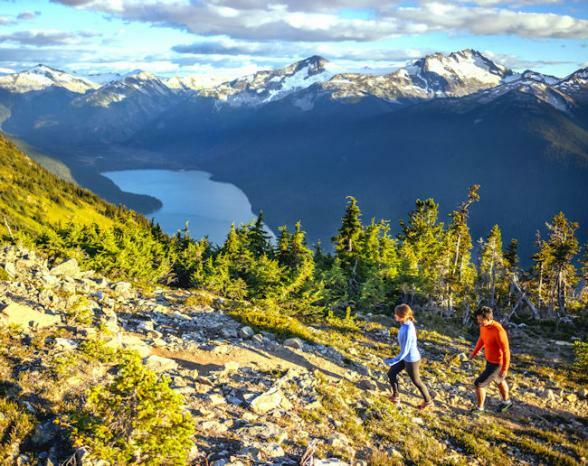 Bordered by the Atlantic, Pacific and Arctic Oceans, Canada’s ever-changing topography ranges from the dizzying heights of the Rocky Mountains to vast boreal forests, endless prairies, desert and rainforest regions. Added to the extraordinary natural beauty are the vibrant, cosmopolitan cities where most of the population lives. On July 1st (Canada Day) 1867, the British North America Act was passed and the Dominion of Canada was founded as a self-governing country within the British Empire. By the late 19th century, Canada had largely established the ten provinces and three territories we know today and had completed the awe-inspiring engineering feat of completing the coast-to-coast Canadian Pacific Railway. Prior to the railway, British Columbia on the Pacific coast was a 4-month sea voyage from the East. Canada did not enjoy full legal autonomy from the UK until as recently as 1931 and is a member of the Commonwealth with the Queen as Head of State. Links between the UK and Canada remain strong and Canada is seen as a stable, tolerant, liberal democracy. 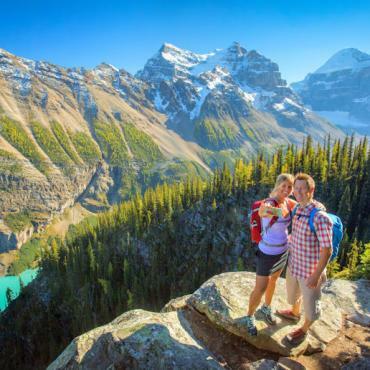 These shared values and historic links add to the list of reasons why British travellers want to explore Canada and feel so welcome and comfortable here. Less than a two-hour drive from Toronto we find Canada’s most renowned natural wonder: Niagara Falls. Visitors wonder at the sound of the water as you approach it, the mist you feel on your face as you look up and the sheer power of the falls that you can feel to your bones. 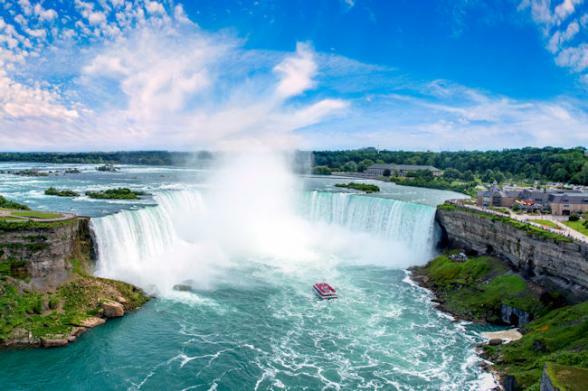 Niagara Falls is a city in its own right, with myriad attractions, entertainment, and dining options from fast to fine. But Niagara Falls is not the highest waterfall in Canada, it’s the width that makes it unique. There are numerous higher drops including Montmorency Falls Park, sited just minutes from Quebec City and offering a gondola ride to the top for a spectacular view. The more adventurous can take one of three hiking trails or even zipline across the falls! The 23 beaches of Prince Edward Island claim to be Canada’s finest. Singing Sands may be the jewel in the crown with its name given because of its fine sand, which squeaks as your feet press into it—the result of a high concentration of silica and quartz. 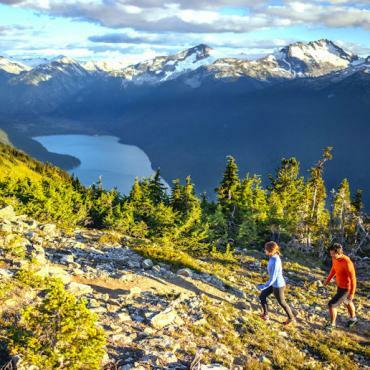 Not as squeaky, perhaps, but possibly more convenient within the context of your Canada holiday, Vancouver boasts nine soft, sandy beaches and National Geographic rates it one of the best beach cities in the world. 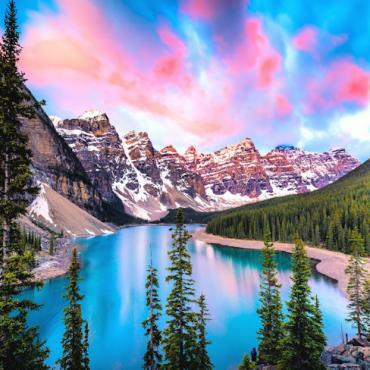 No overview, however swift, could fail to mention the Rocky Mountains, a natural wonder within a 90-minute drive of Calgary, Alberta. 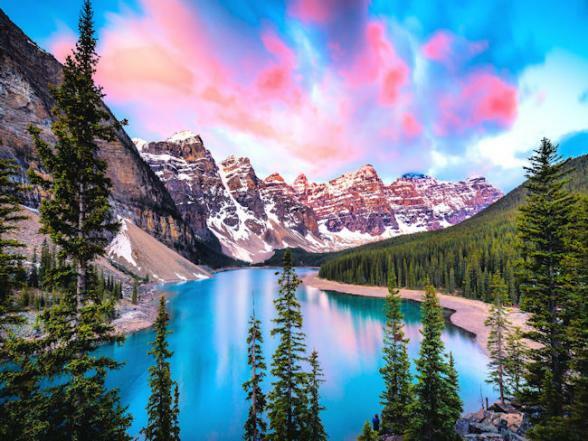 At Banff National Park you’ll wonder at glaciers, forests, rivers, valleys and mountain scenery and the jaw dropping turquoise blue waters of Lake Louise. The scale and beauty of the region, as with so much of Canada, will leave you with life-long memories. Bon Voyage has been specialising in travel to Canada since 1979 with tailor-made fly/drives the most sought-after holiday. 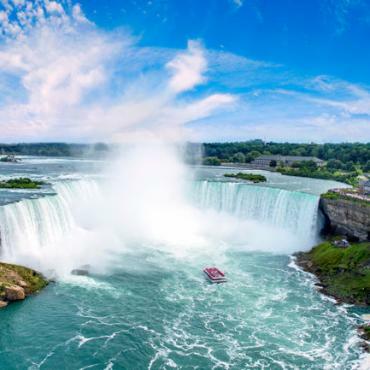 While clearly a vast country, the major cities of Canada and areas of greatest visitor interest are concentrated relatively close to the border with the United States. Indeed 90% of Canada’s population live within 100 miles of the USA. 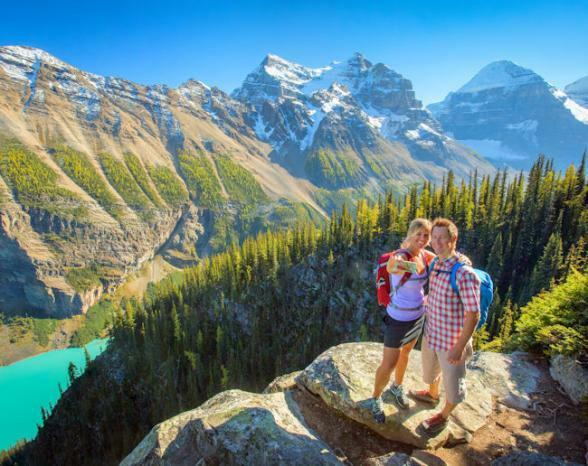 Enjoy our region by region guide to the wonders of Canada. Our website is full of ideas and inspiration with itinerary suggestions, places of interest and stunning photography. When you're ready to book, please give us a call. Visit Canada’s Yukon Territory and descover the goldrush town of Whitehorse and marvel at the spectacular Northern Lights.